I will buy more as needed. 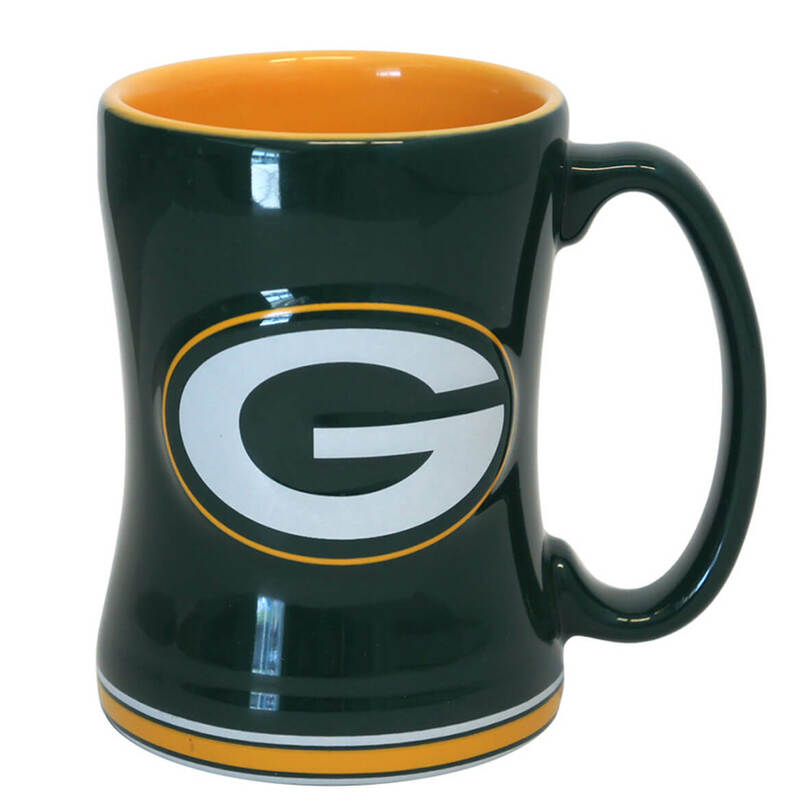 I liked to the the variety because although I'm a packer shareholder I have several grandchildren who like other teams. They got favorite teams for Christmas. I bought this for a friend of mine for Christmas. 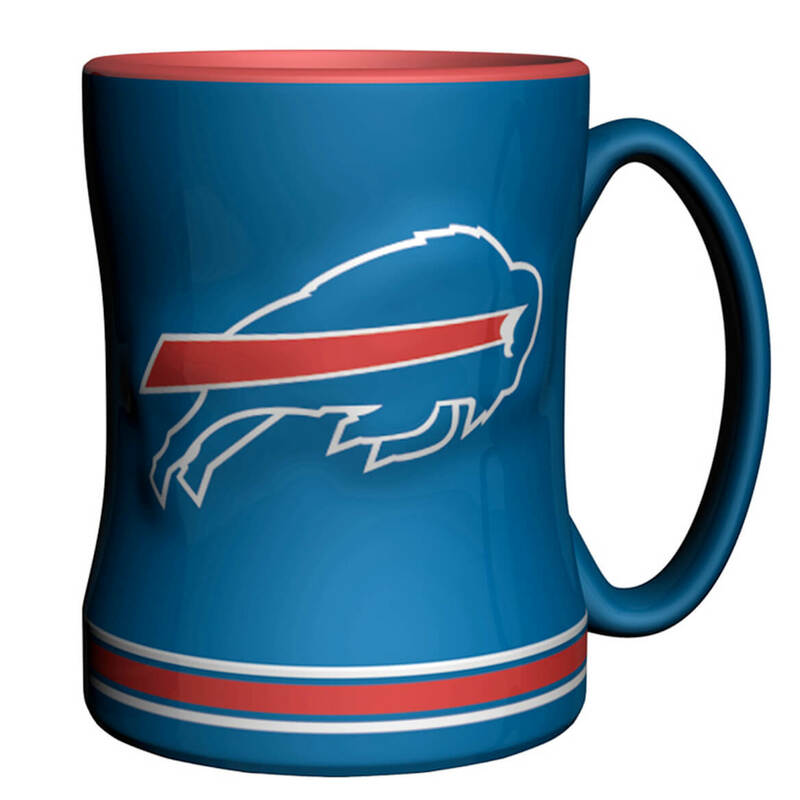 It is such a nice coffe mug, colors and size are perfect! 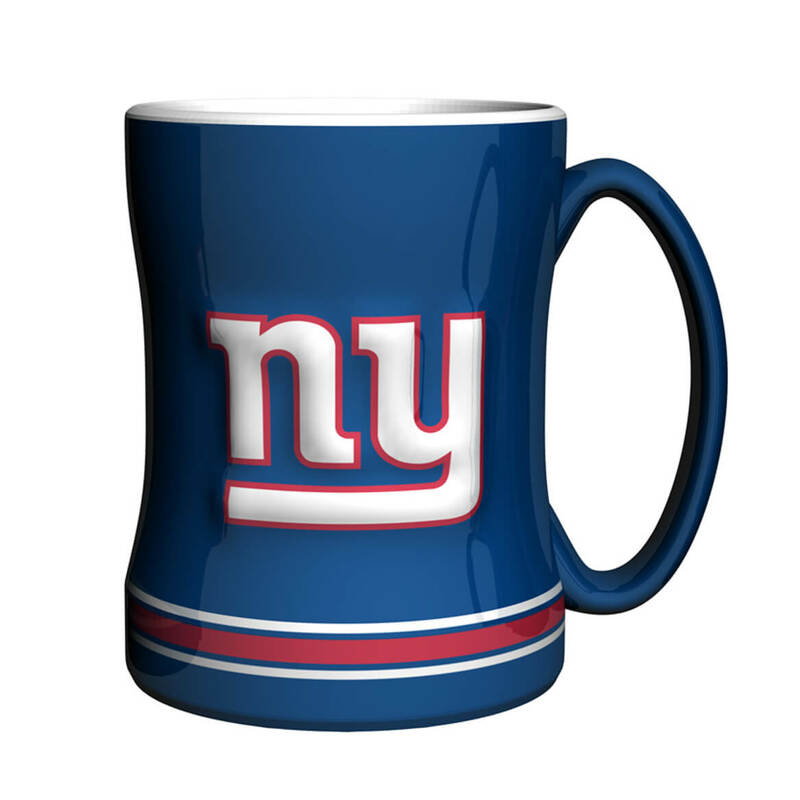 Nice mug! Just what I needed for my son and the design, quality the best! 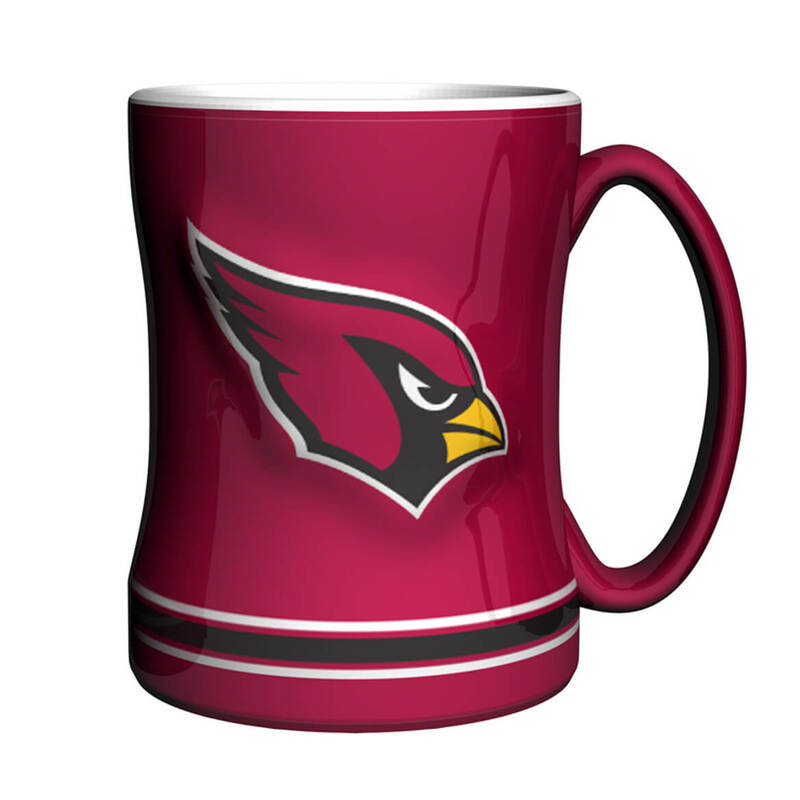 AZ Cardinal stuff is hard to find outside Arizona. Great gift fo a die hard Redskins fan. 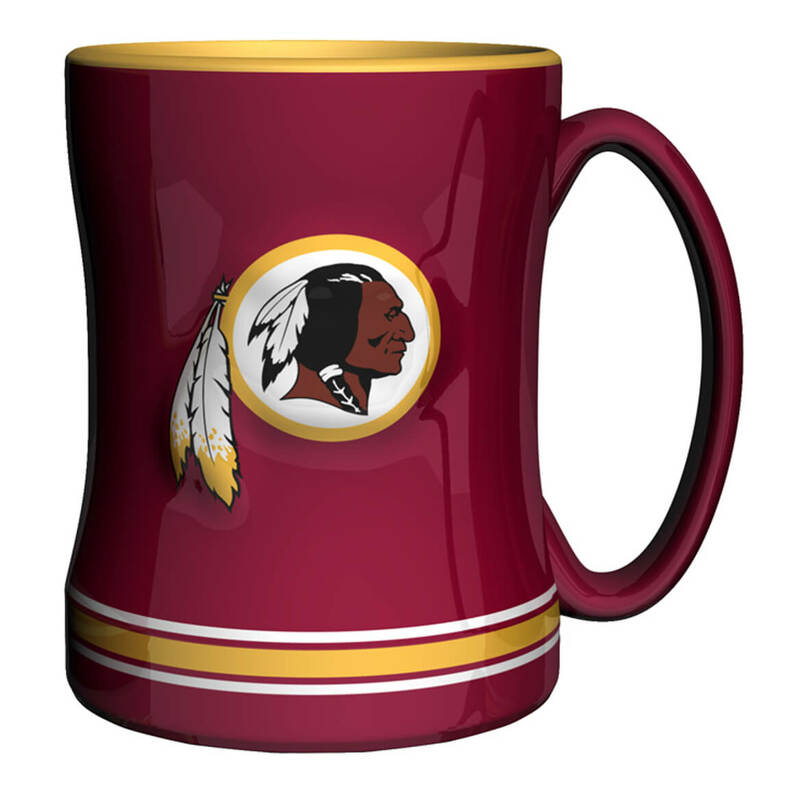 Great for my Redskins fan at an affordable price. Was a gift. Love the design. I am going to buy this product again in the near future. It was better then I expected. I fell in love with them. Would recommend the product to a friend or relative. Really like the look and feel of these so much so that we ordered more for us and gifts. Christmas gift that hasn't been opened yet. I am giving them as Christmas presents. 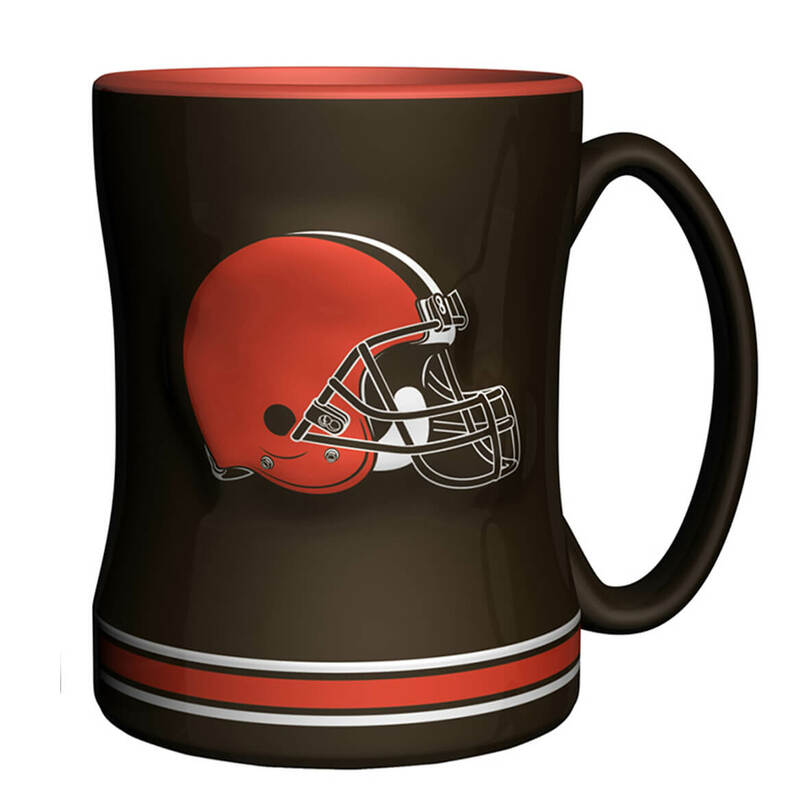 Love the football mug. Ordered 2 more. 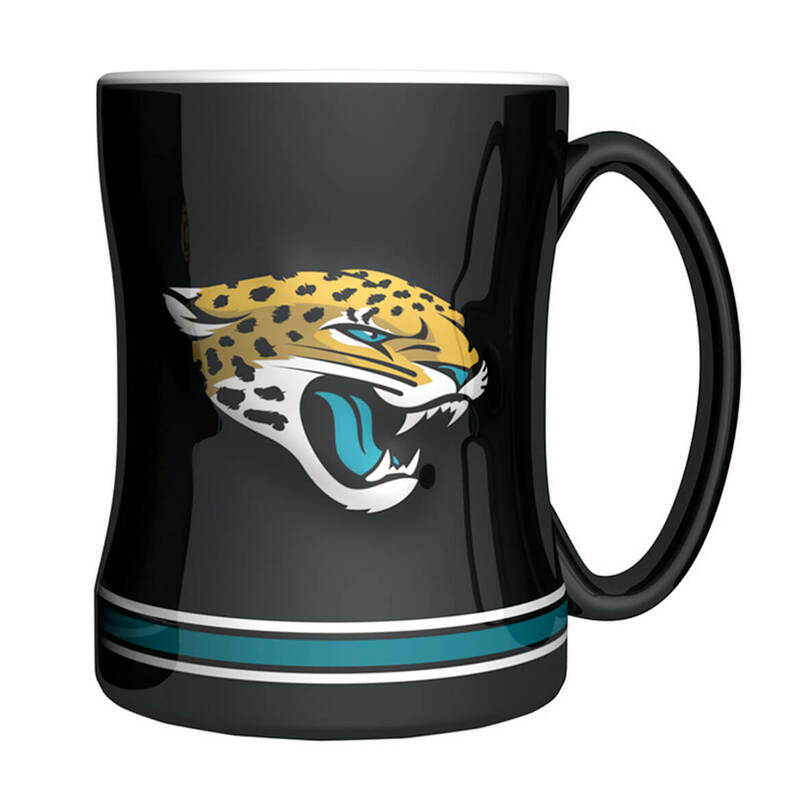 Ordered the first nfl mug for a Christmas gift for my boyfriend. I didn't expect to receive it before the holiday, but was happy to receive it on Christmas eve. Have since ordered two more. Already have two mugs that was ordered from Walter Drake years ago. 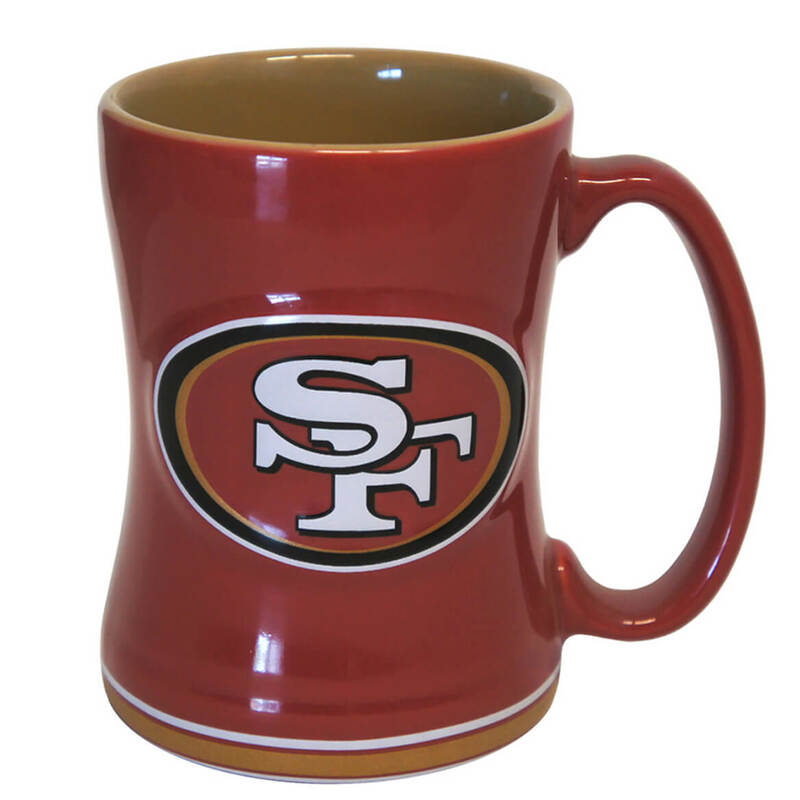 Loved the larger mug with logos on both sides and entire name on handle. So updating mine. Plan to order more in the future. With all the beauty, so glad the mug can be used in the microwave. Thank you for a great product. 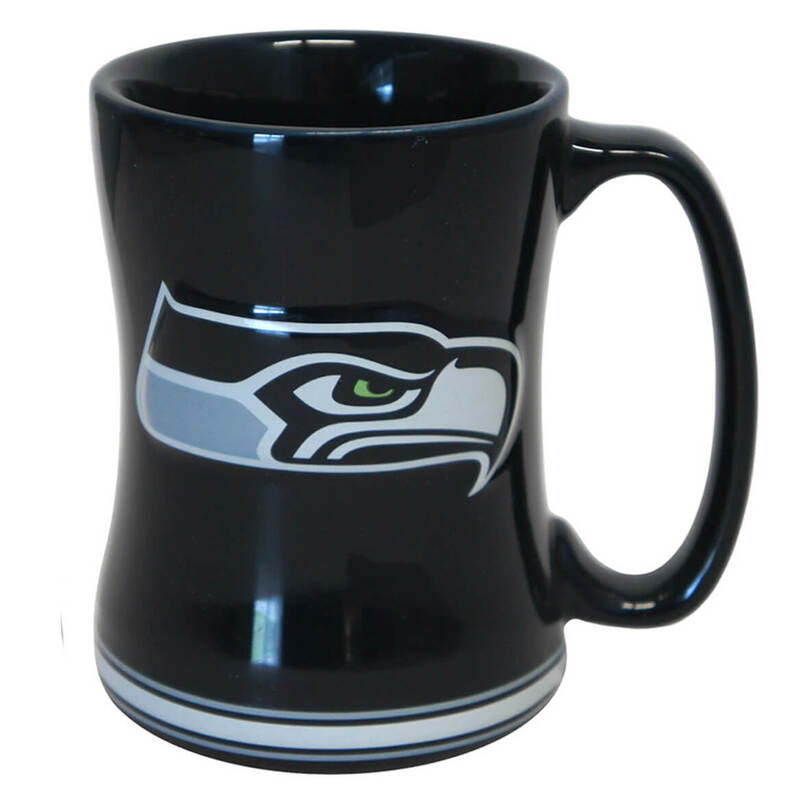 I had been looking for a nice looking Seahawks coffee mug for a while. This is way nicer than anything else on the web, including at NFL's and Seahawks' pro shops. 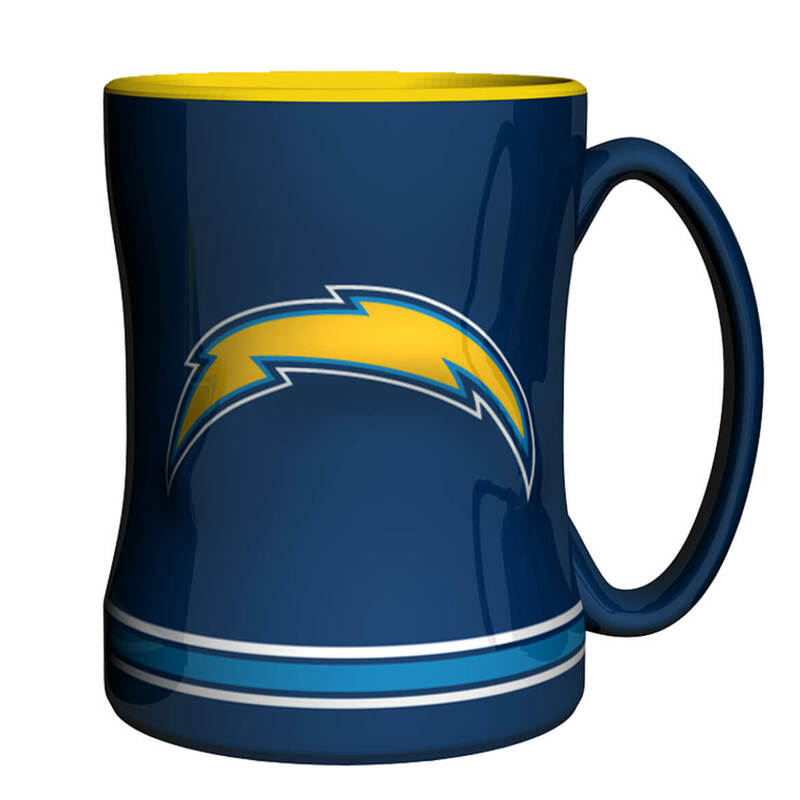 Great coffee mug! 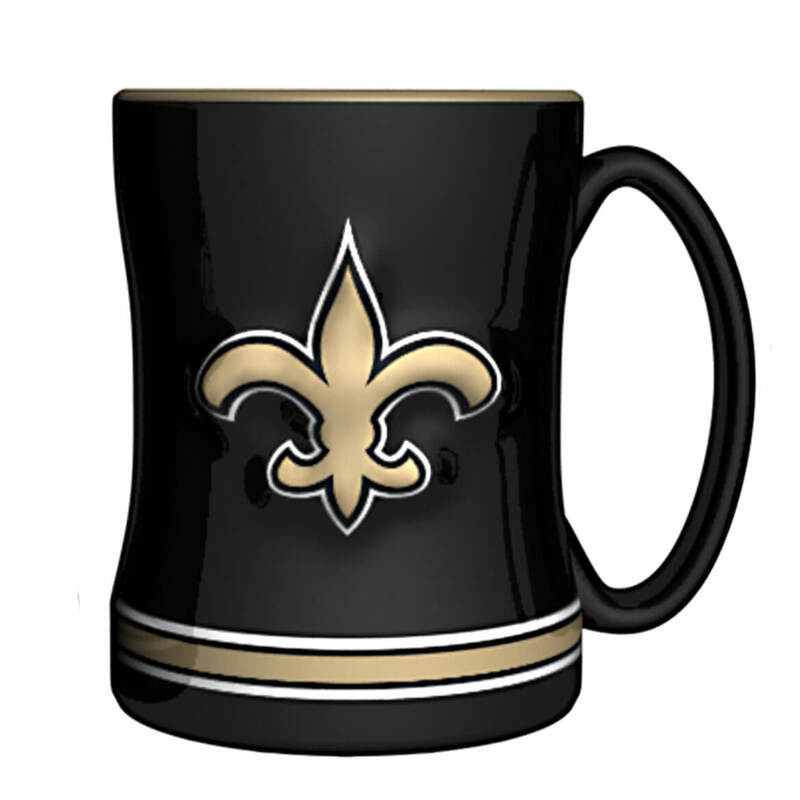 No, but it was a gift to my sons who are Saints fans. 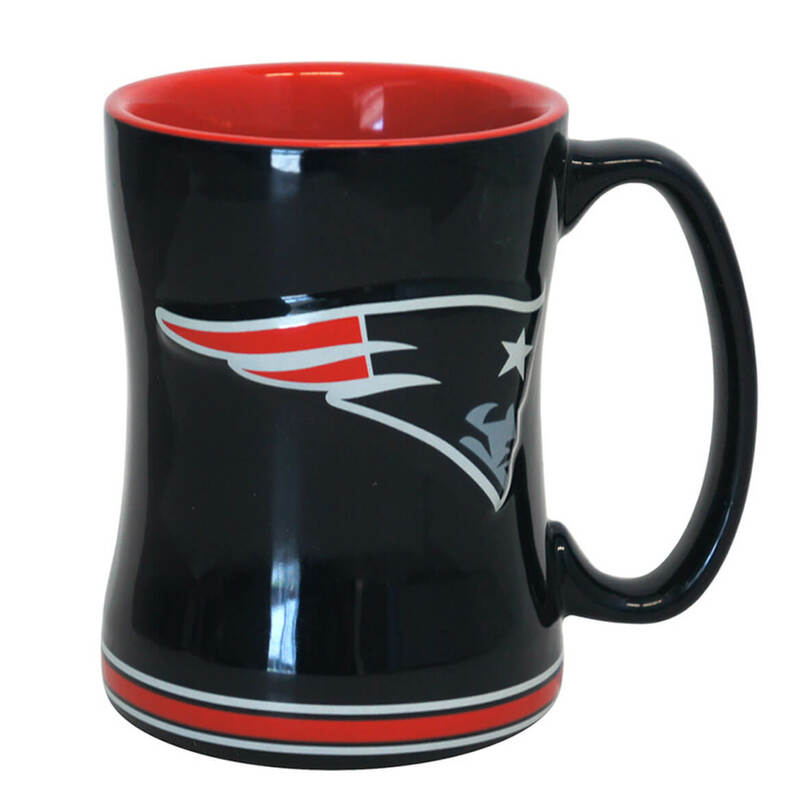 I love the patriots coffee cups. They are used everyday by me and my husband and my friends that I got them for. 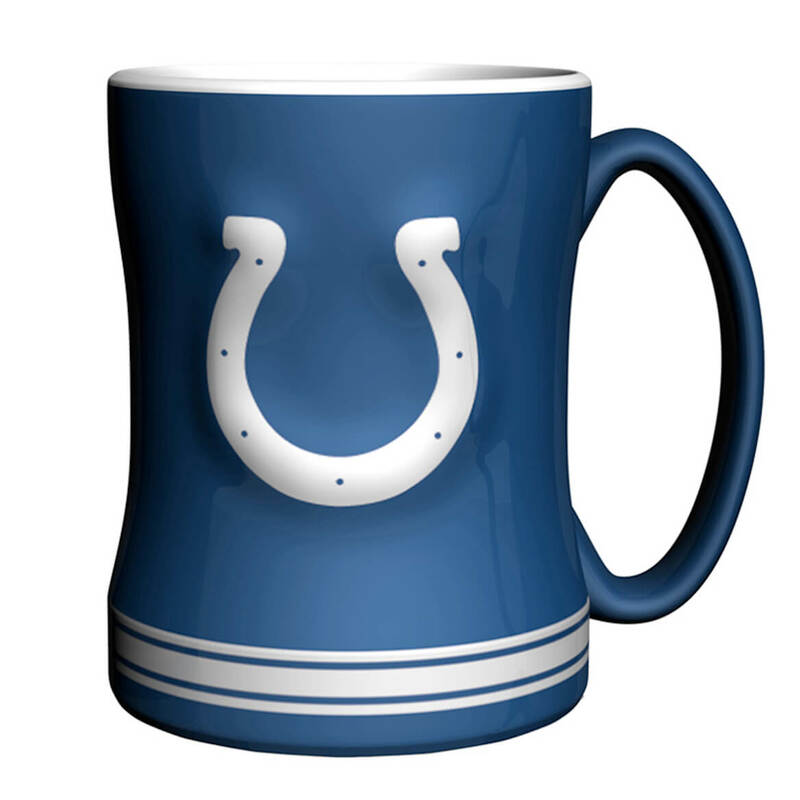 Useful for hot or cold beverages. They were given as gifts to my son & his wife. 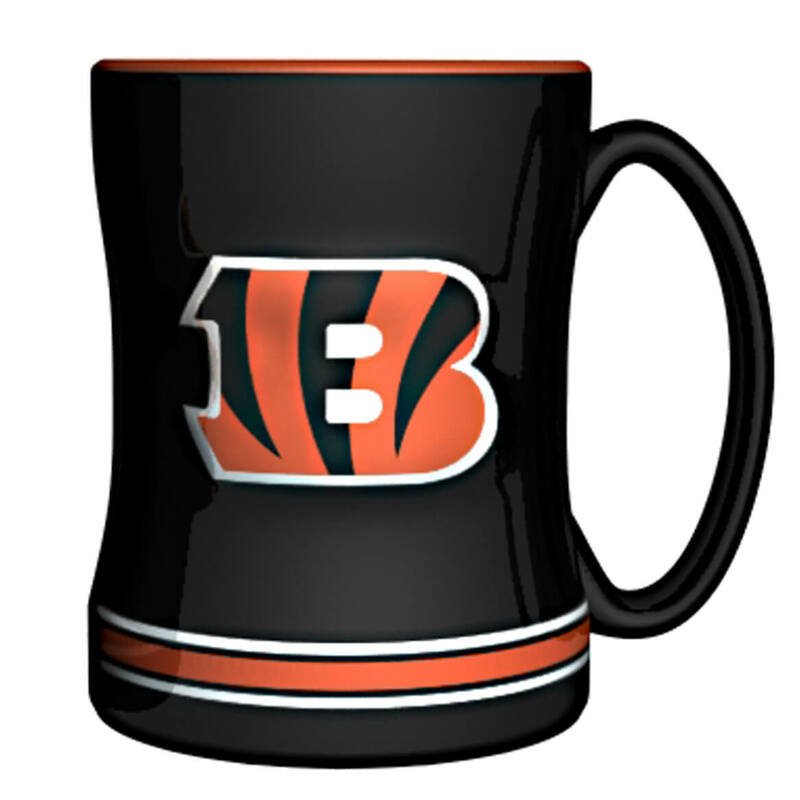 Very nice mug with a great design. Will be ordering a few more as gifts. 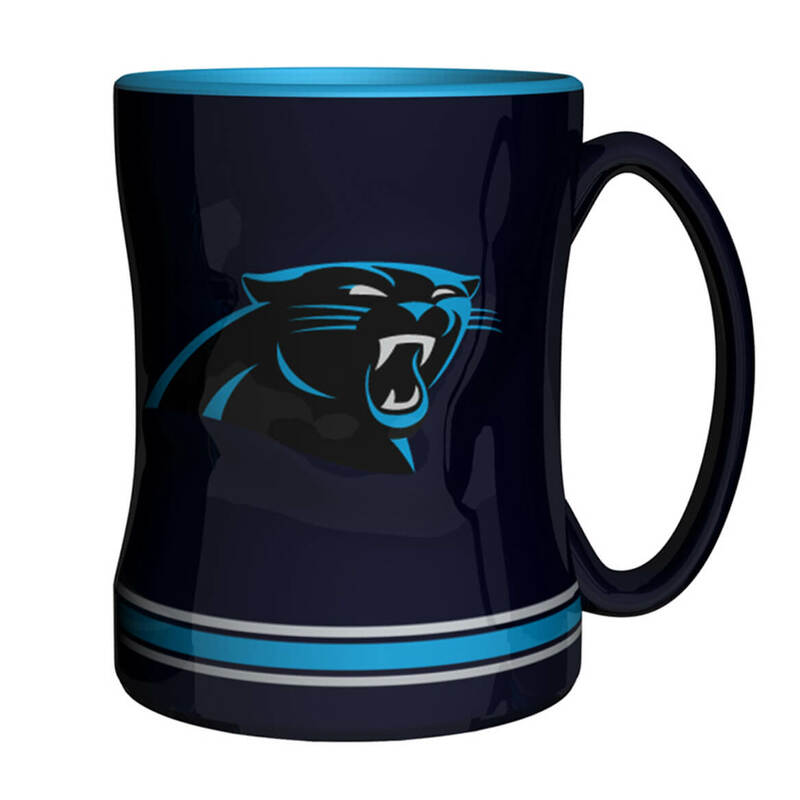 I can enjoy a cup of coffee or tea with my husband and son while watching the Seahawk game. 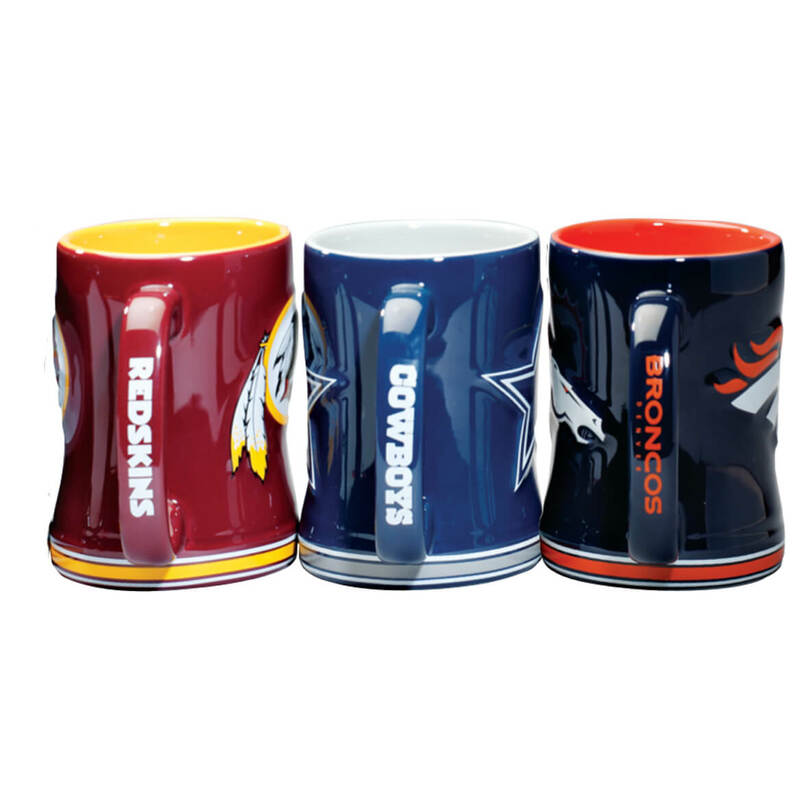 Great addition to any NFL fans kitchen, great team mugs with team logos and colors. In addition free shipping makes it easier and less expensive than going to the mall! I plan to buy this product again. I love the style, size and design. I purchased 4 of them and am giving them as Christmas presents. Love this mug. It was for my husband and he was very happy to receive it. 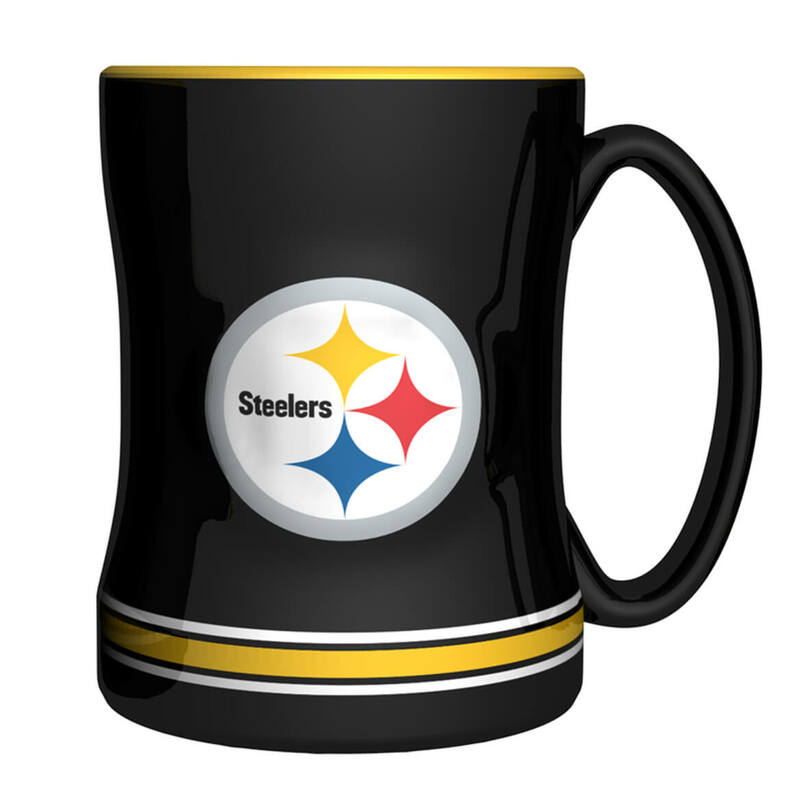 I really like the shape of the mug and the bright coloration of the Steelers logo. The logo was very nice! a good cup. nice and thick. Wonderful gifts for sports crazy people! 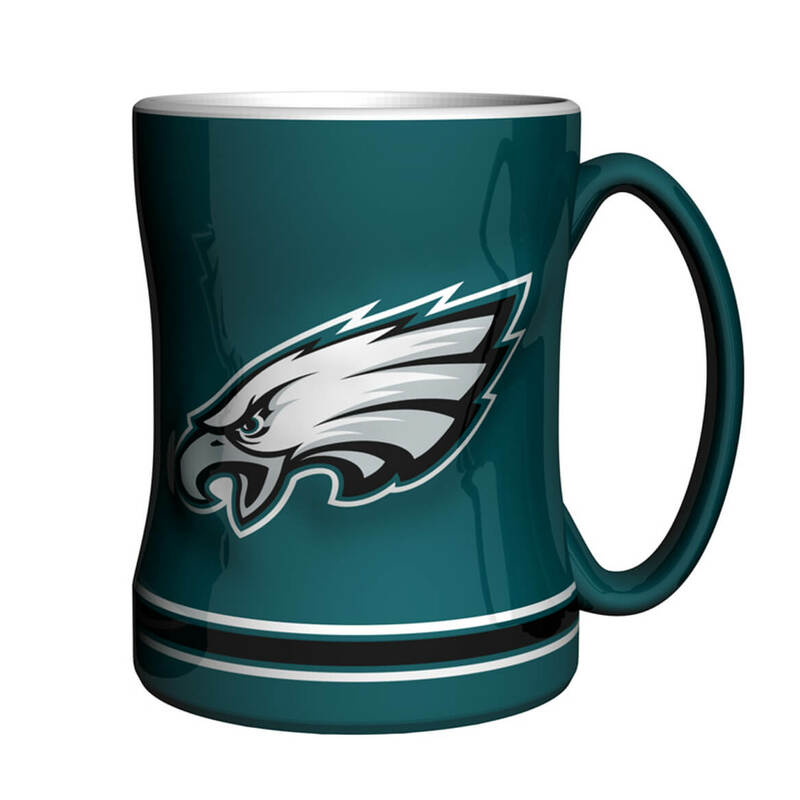 These NFL mugs are very pretty. These were purchased for two grandsons. I know they will really like them! 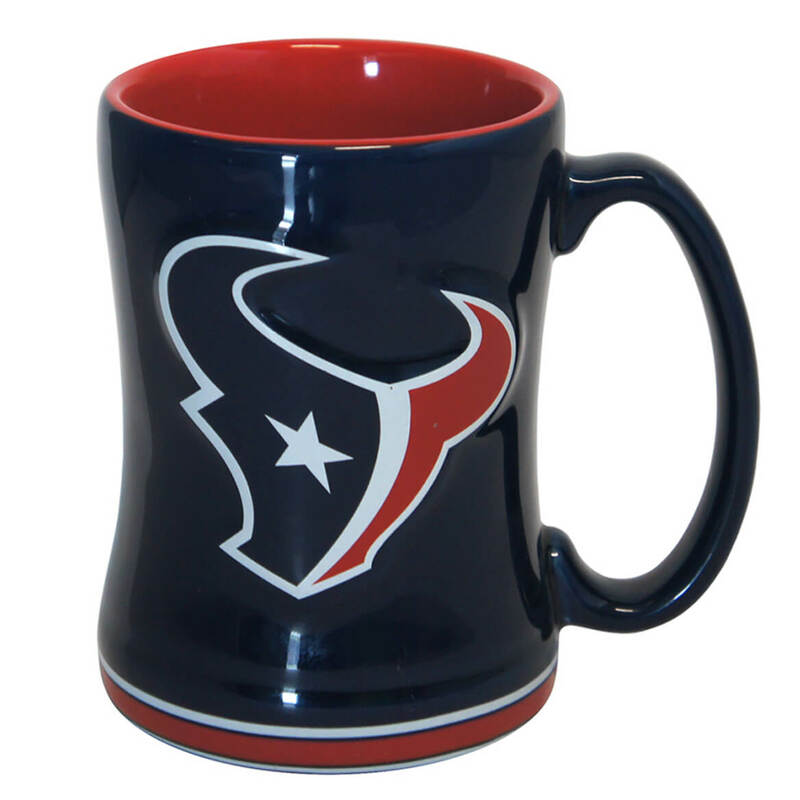 The NFL coffee mug looks like picture in catalog and is sturdy and well built - very nice! This is a Christmas gift for my son who is a huge fan of Tampa Bay. 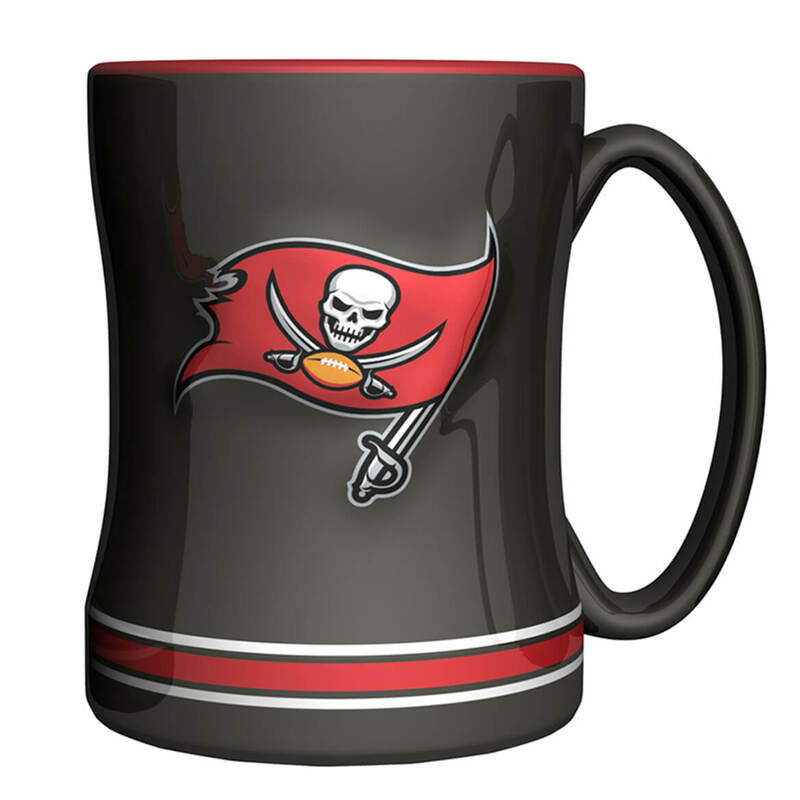 I have been looking for something with Tampa Bay Buccaneers hat,mug, or bowl for yrs. and when I saw this I had to buy this for him. He will love this. These items are great gifts for my family the prices are very affordable i enjoy shopping here Thank you!!! The New England Patriots mugs I received are outstanding. 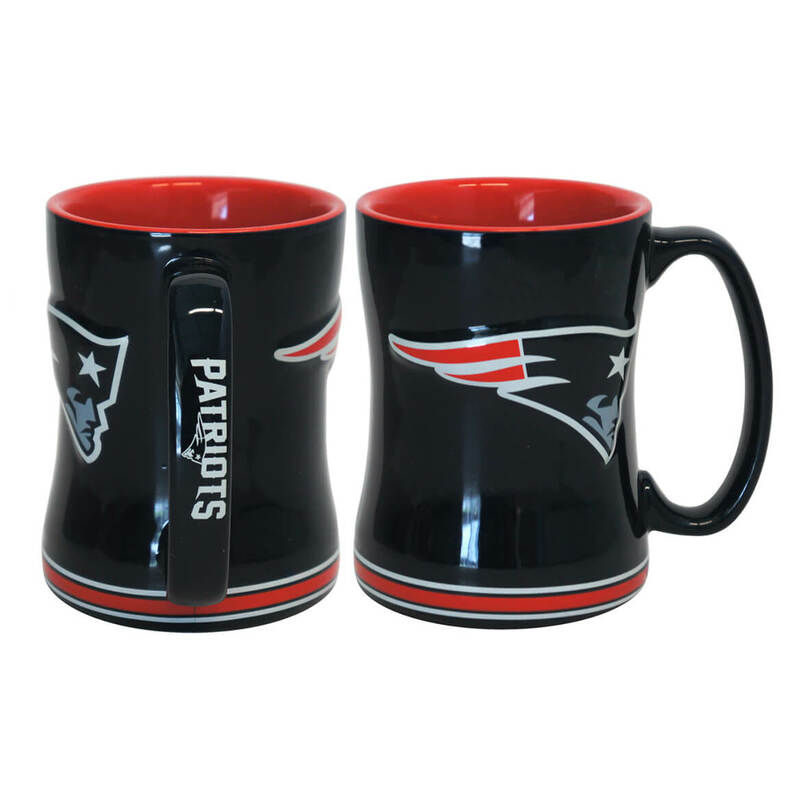 Can't wait to give out my New England Patriots mugs. I certainly hope I can wait until Christmas !! Xmas present,he will love it !!! they look so cool with the NFL look! These advance Christmas gifts and look as if they will be well-received! Like I said love the mug was just very disappointed that it was broke when it arrived especially since it was a gift. mightly disappointed as these were for gifts. handles were askew. very sloppily made. I placed an order on December 15th. They had an email sent out that if you ordered by December 16th your gift was GUARANTEED delivery by Christmas if it was non-personalized. 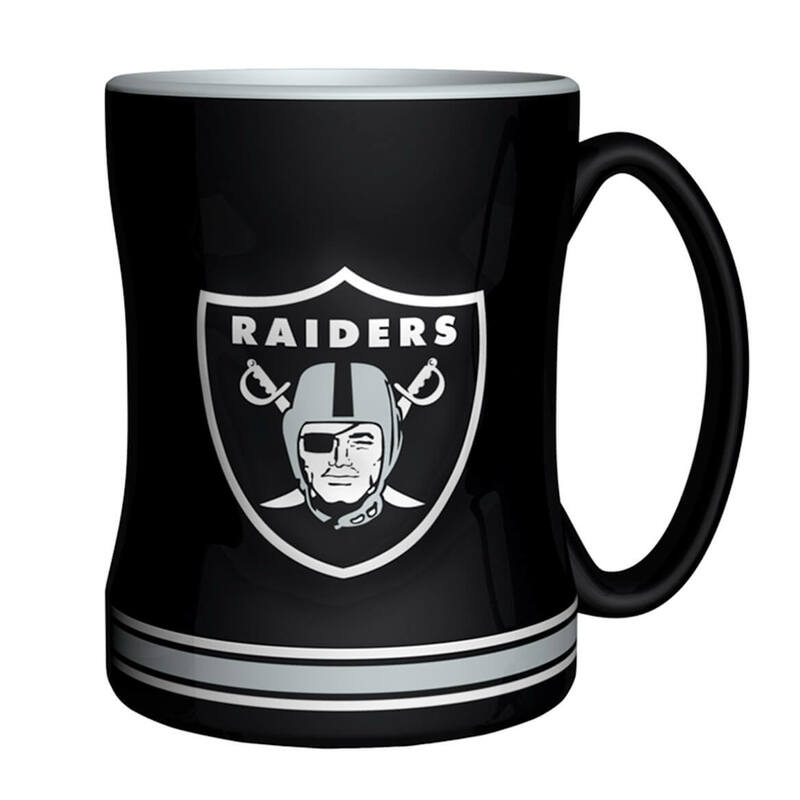 I ordered the Oakland Raiders NFL coffee cup for my dad so this was non-personalized. My delivery date on the shipping tracker said my package would be here on December 27th! I called customer service and they flat out tried to lie to me by saying that was for premium shipping only. I had the email right in front of me that said it was for standard shipping. The woman in the phone proceeded to reply, "Ohhhhh yeahhhhhh...I see that." HA! She said there was nothing they could do since the package was already sent out and that where they ship out from there was bad weather for 2 days. Might I add that my shipping confirmation was sent out yesterday, December 20th. They should have known when they sent it out late with the weather they should have upgraded my shipping for free. News flash Miles Kimball, if you guarentee shipping by Christmas and there's a storm it is on YOU to ship out my package with express delivery and pay for the extra charge since it's your error and guarantee. Now I'm going to have to give my father a late present. They offered me a $10 gift certificate to go toward a future purchase. That didn't help my problem. Absolutely ridiculous. The package did end up coming the 27th unfortunately, I was spraying it'd come sooner. Aside from the horrible experience, the cup is very beautifully made and my dad loved it. 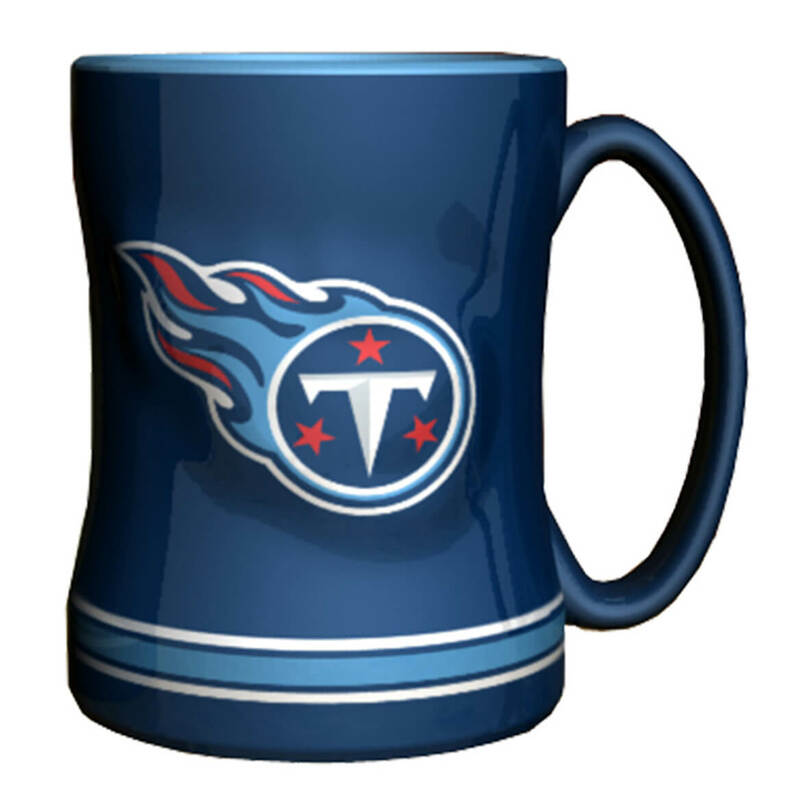 My team and I like the mugs. 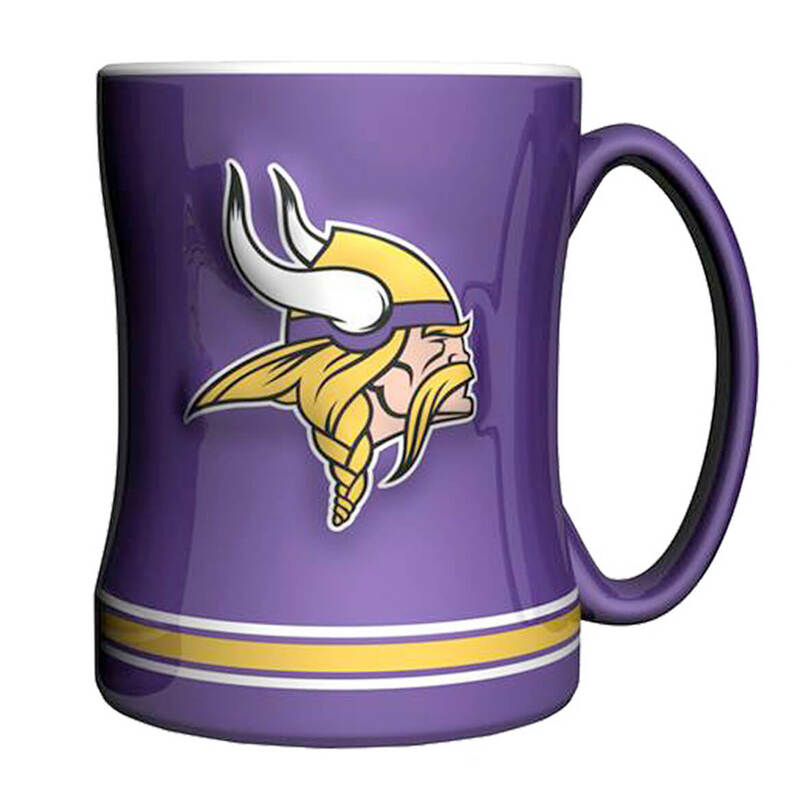 This is Christmas present for a friend who is a Vikings fan. A great present for under the Christmas tree. MY SON DANNY LOVES NEW ENGLAND . 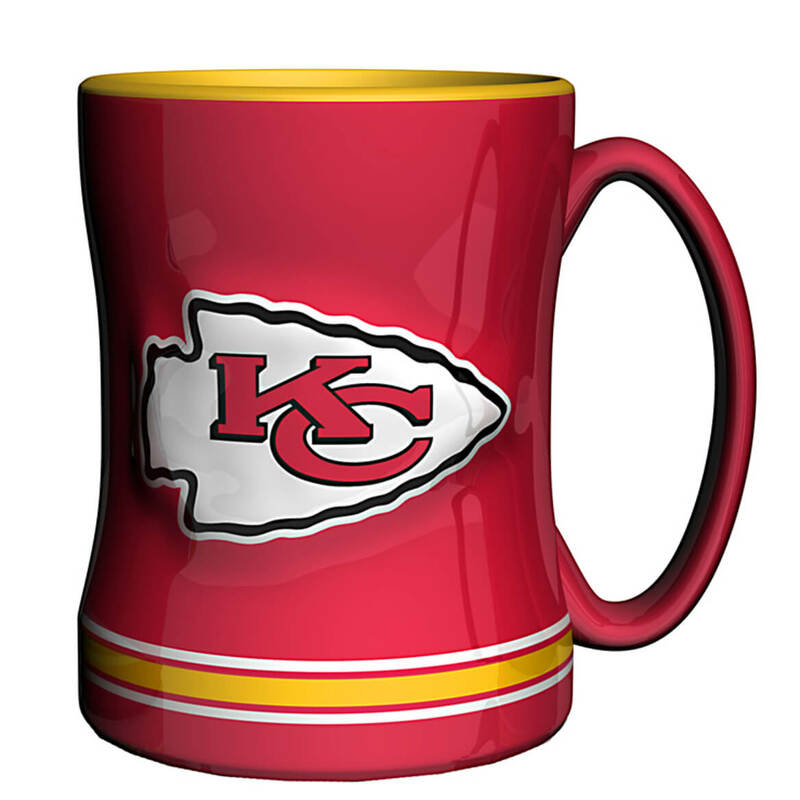 My Daughters favorite football team so I thought i would get her this cup for Christmas. Best outstanding style I've seen, will really stand out in the coffee break room !!! Christmas gifts for a couple with different team loyalties. 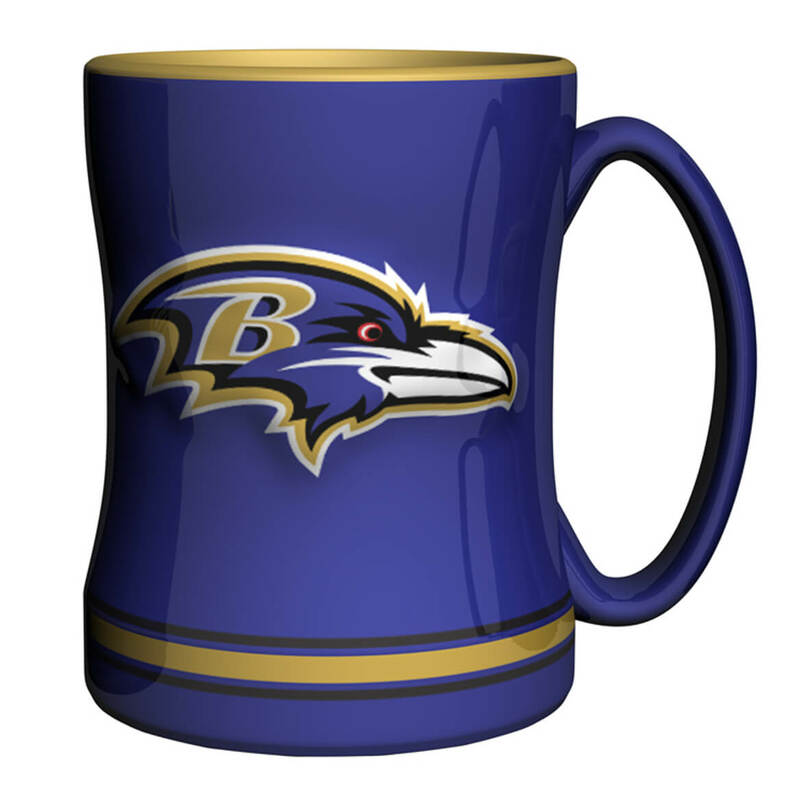 It is birthday present for a friend and knew he would like this New England Patriot coffee mug. The last time he and his wife visited us, he liked using my significant others New England mug. Haven't seen them anywhere else. 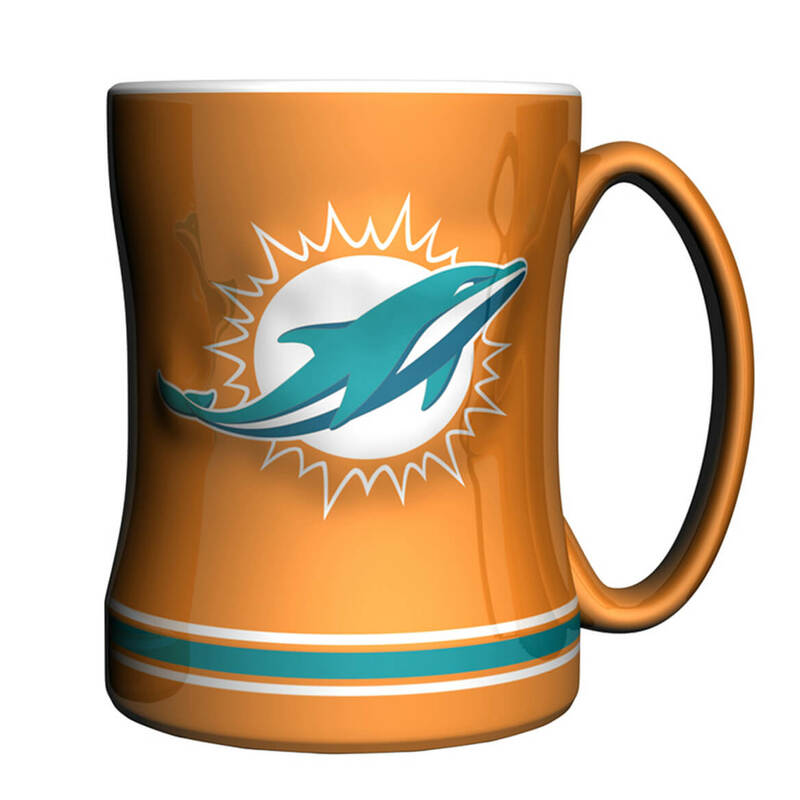 Bought pair of dolphin mugs and Giants mugs.My son's love them,unfortunately I forgot to get the Raiders and Packers next time I see them. love the Eagles, go Carson!! 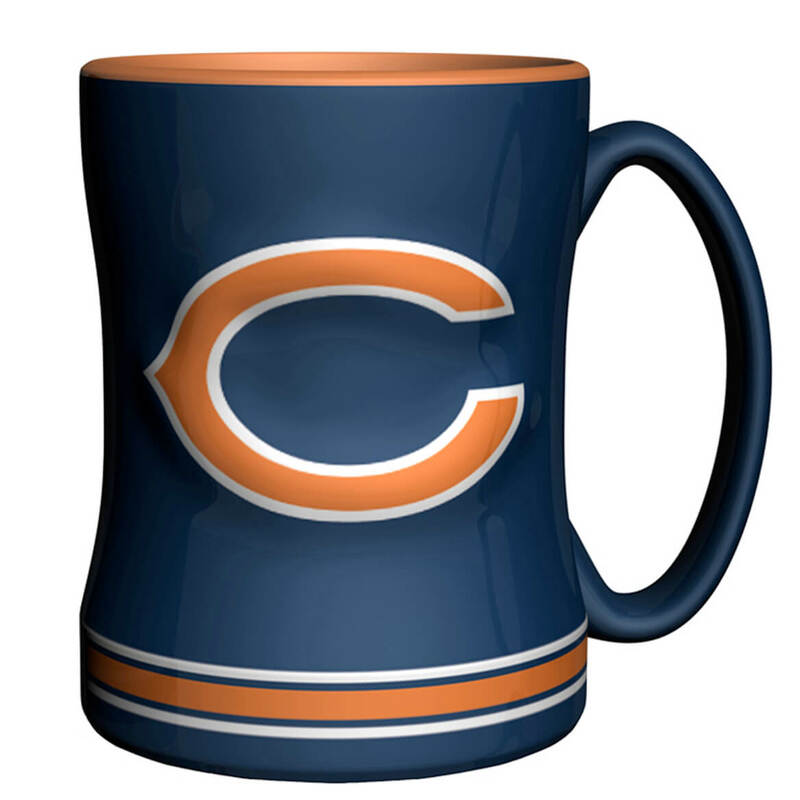 These mugs are great. Good quality mugs. Brother is a HUGE Redskins fan & this will add to his collection. 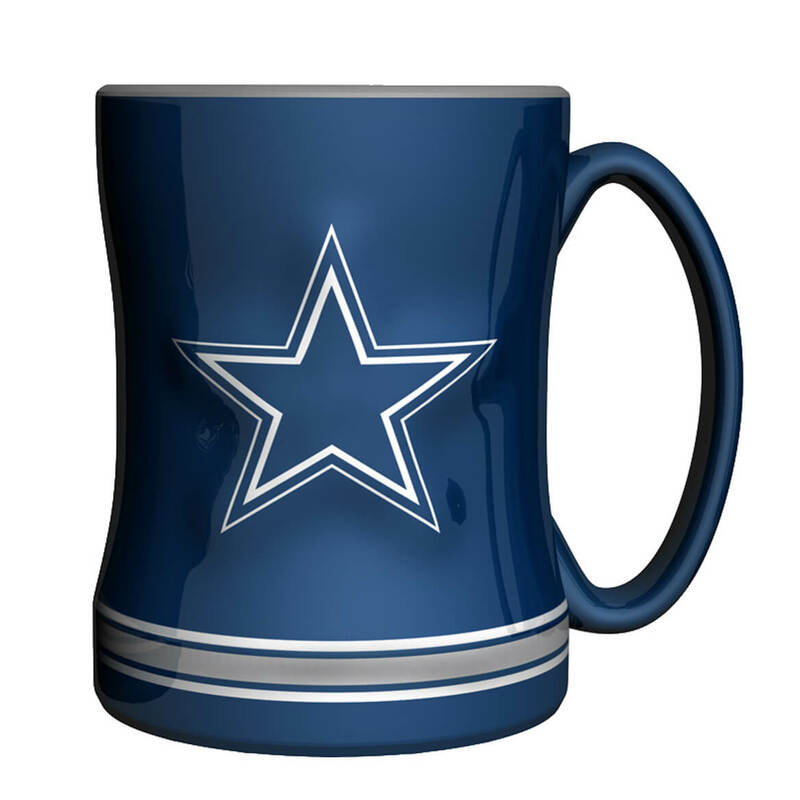 These are great mugs they have a nice handle and don't tip over. I love you can choose any NFL team you want! One of my co-workers like the Dallas Cowboys. got these for Christmas gifts. Great gifts for my daughter and her husband. Future son-in-law is a huge Giants fan. Getting the jump on next Christmas. 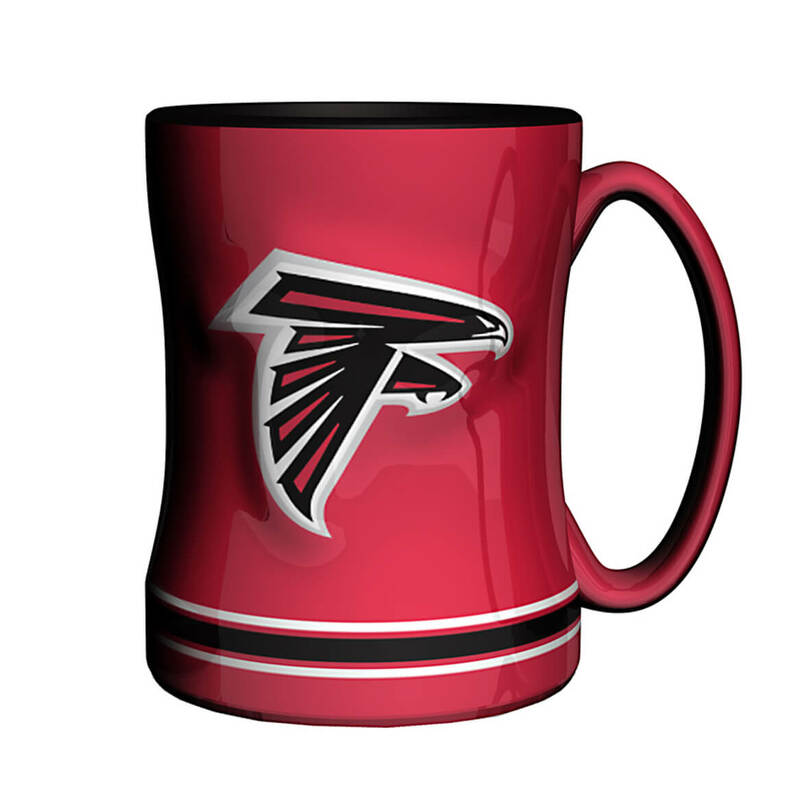 Bought this for my husband, who is a Falcon fan. 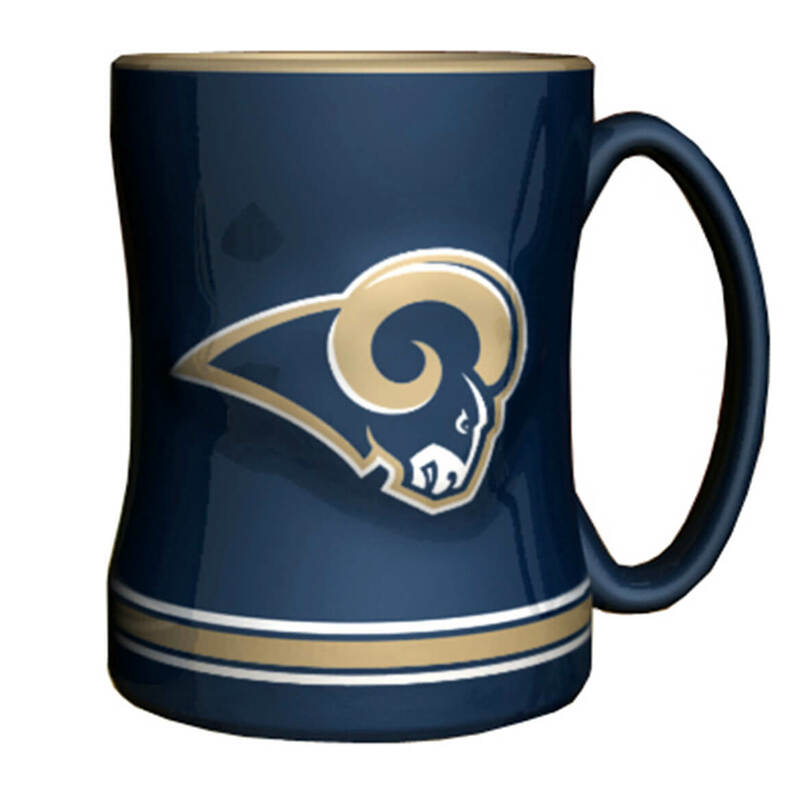 Is there a team logo on each side of the mug? BEST ANSWER: Thank you for your question. Yes there is a team logo on both sides. We hope this information will be of help to you. Yes there have team logos, we got one for a friend and he likes it. 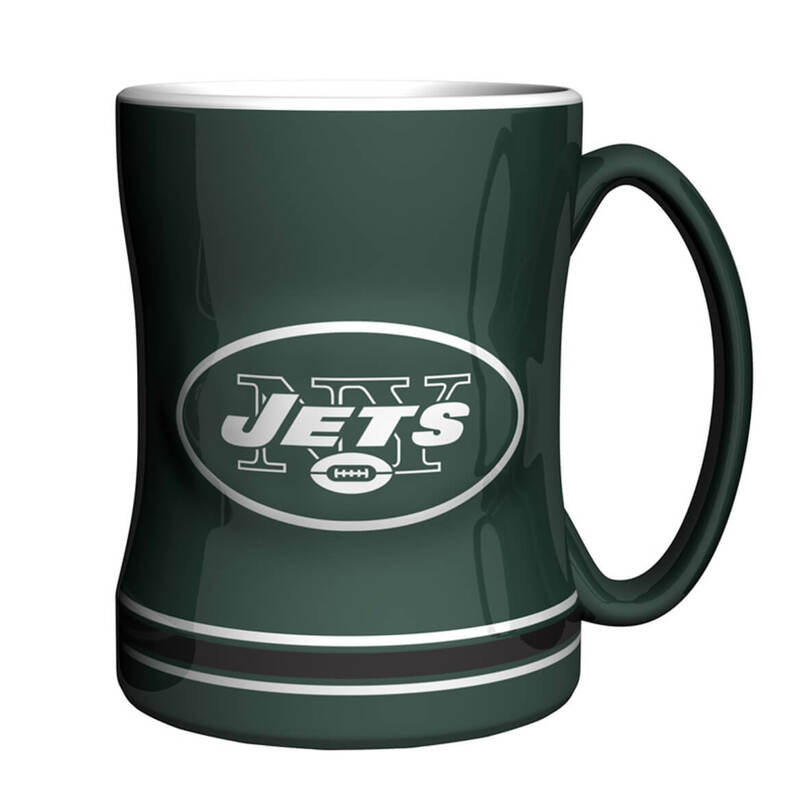 I'm looking for the Jets mugs....what color is inside the mug? BEST ANSWER: Thank you for your question. 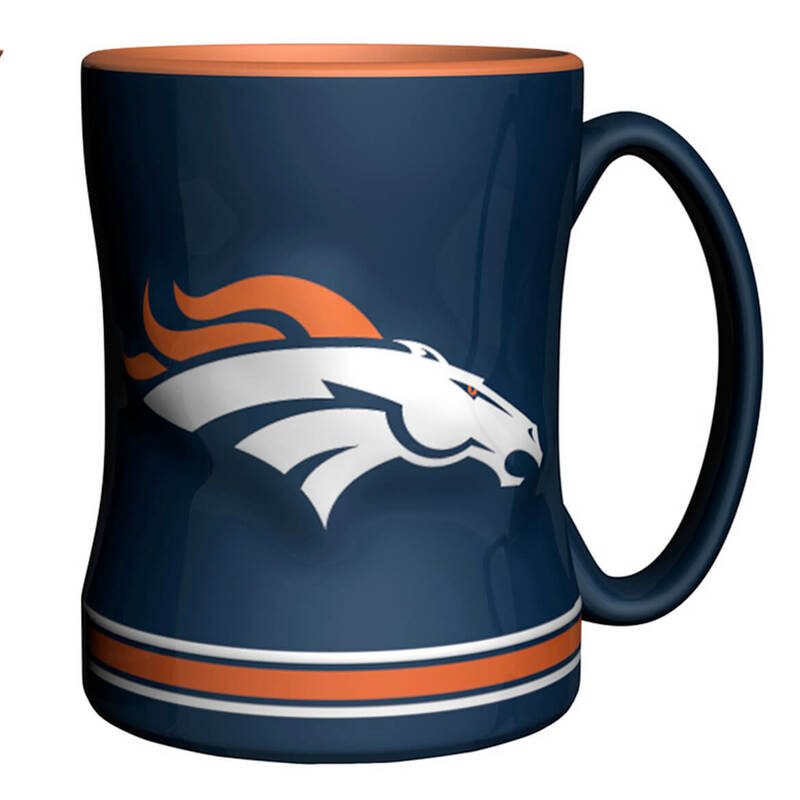 The outside mug is the dominate color while the non-dominate color is inside. For the Jets, green should be on the outside while white is on the inside. We hope this information will be of help to you. When I purchased a mug , the inside was white. how many do you get per order? BEST ANSWER: Thank you for your question. There is one mug per order. We hope this information will be of help to you. 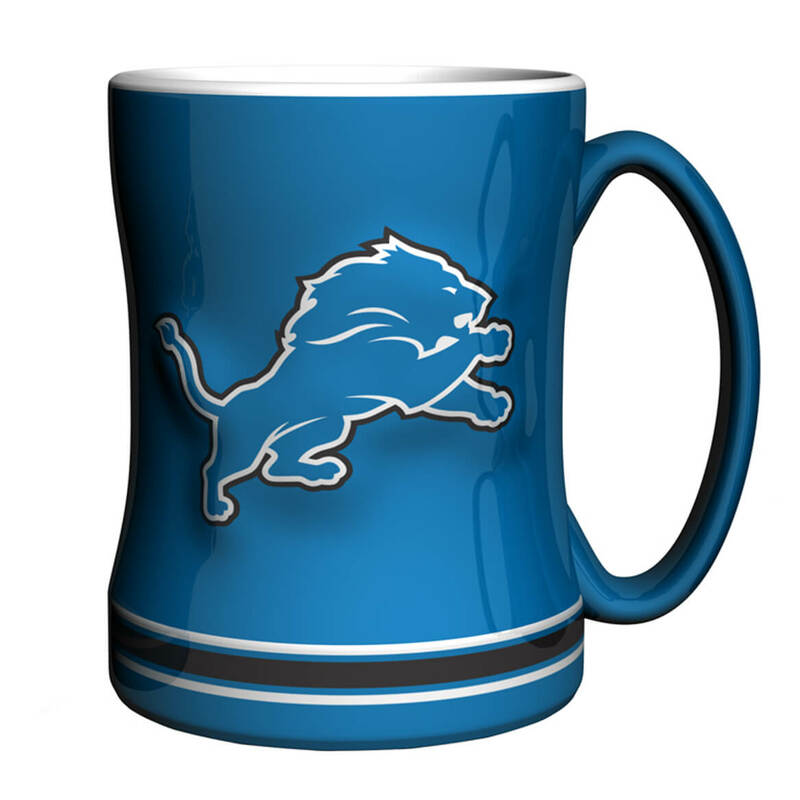 do you carry plastic glasses with all nfl logos on one cup? BEST ANSWER: Thank you for your question. Unfortunately we do not. We hope this information will be of help to you.